Honourable Sarah Flood-Beaubrun was born on January 8, 1969. She qualified as a Barrister at-Law in 1995. She was called to the Bar of England and Wales in July 1995, and to the Bar of the OECS Supreme Court in September 1995. She is a member of the Honorable Society of Lincolns Inn. Sarah held positions of (i) elected Member of Parliament (1997-2004) (ii) Minister for Health, Human Services, Family Affairs and Gender Relations (1997-2001) Minister for Home Affairs and Gender Relations (2001-2004) (iii) Speaker of the House of Assembly (2006-2008) (iv) Deputy Permanent Representative of Saint Lucia to the United Nations, New York (2008-2011). In February 2012, Sarah founded the Caribbean Centre for Family and Human Rights (CARIFAM), a non-profit charity, which works to protect family, human rights and human dignity within the Caribbean. 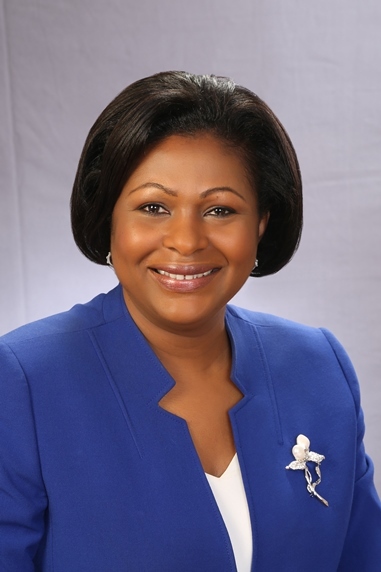 Sarah is currently the Member of Parliament for Castries Central, and Minister responsible for External Affairs in the Government of Saint Lucia. She is married, with two children.